Call our friendly staff today to book your boiler repair appointment - 0151 438 2297. We specialise in one-off repairs to boilers. We cover all areas of Liverpool/Merseyside. View our boiler service page for information on a boiler service. Your boiler will eventually go wrong and require repairing. It will strictly follow Murphys Law. Anything that can go wrong will go wrong. It usually always happens at an inconvenient time too. Often, being isolated from any heating or hot water is unacceptable for your family, business or tenants. However, we have your boiler repairs and breakdowns covered. Our certified personnel have decades of combined experience repairing boilers. All engineers are Gas Safe® Registered. Our company is family owned with the majority of our business coming from repeat business and happy customers. Regardless of you being a homeowner, tenant or landlord, you will need your situation resolving quickly by a reliable and honest company with minimal hassle. We will guide you through the process of repairing your boiler. Our boiler repair Liverpool services cover all of Liverpool/Merseyside. We can fix most modern and older boiler models once the problem has been identified. As a labour only company, if your boiler repair requires new parts, we will source these to you at our cost. We can often attend immediately or arrange a suitable time for one of our engineers to attend your property, scheduled around your calendar. We have access to most boiler parts from Monday to Friday 8am - 5pm. However, there are parts which require overnight shipping. Expert in domestic boiler repairs. Up-front, fixed and clear pricing structure for your boiler repair. Certified Personnel will attend your boiler repair. 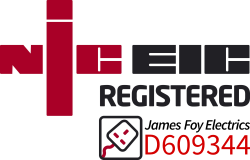 All our gas engineers are Gas Safe Registered. Gas Safe® Registered (CORGI). All boiler repairs are completed by trained and certified boiler engineers. We absolutely recommend that you should never, ever attempt to repair your own boiler. It is illegal for any person other than a Gas Safe® engineer to proceed with work on boilers. Never, ever attempt to do anything technical with your boiler. A: A member of our team, a qualified Gas Safe engineer, will attend your property. They will act quickly to diagnose the issue with your boiler. Once identified, the engineer will explain precisely the problems. They will also discuss a fixed cost with you for the repair. However, if parts are required, we may have to give you the quotation 1-2 hours later after parts have been costed. A: Of course, we can. We will source the parts at our cost to you. If our customers ask, we are happy to show receipts for required components. The price of parts vary from boiler to boiler, so it is hard to give prices until our team confirm the cost of the exact part required. A: We will always attempt to repair your boiler. However, sometimes it can be the situation where the boiler is simply beyond a repairable state. In this instance, we will explain to you the reasons why we believe it to be un-repairable and will offer to quote up a replacement boiler. A: The chances are yes. They are very popular. Combination boilers heat the hot water directly inside the boiler and have no hot water storage or a hot water cylinder. 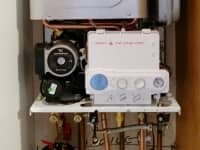 When a combination boiler is installed, the previous hot/cold water storage may have been left behind but is disconnected from the system. Your boiler may also be a system/regular boiler. A: Usually the same day or via overnight shipping. We use multiple suppliers in Liverpool, so it usually takes at most one working day. A: To first time private customers, no. Some of our private customers have used our services for multiple years, so an element of trust exists between us. We do allow payment plans up to a certain point for these customers. Our contracted clients, such as letting agencies do receive payment plans on occasions. A: No. We do not fit parts supplied by customers. Q: Can my boiler be repaired on the same day as visitation? A: Yes. If the fault can be repaired on the same day, it will be. However, as discussed earlier this may depend on the availability of parts. Our boiler repair service is available to all areas of Liverpool (Merseyside), Wirral, St. Helens, Knowsley and Sefton. Please click expand to view a list of areas our boiler repair service apply to. If you are not sure, please give us a call.